High cholesterol is usually one of those things we all know a little about, but rarely anyone pays enough attention to. Unfortunately, when overlooked, ignored or dismissed, high cholesterol can lead to heart attacks, strokes, and even death. The good news is that high cholesterol can be reduced (and kept under control) by making a few simple lifestyle changes and taking the right supplements. With Thanksgiving around the corner (and so many food myths you’ve surrounded yourself with), you’ll want to be extra careful about the foods you eat and your daily activities. Find the advice listed below to help keep your cholesterol in check during Thanksgiving. In life, and during Thanksgiving, it is crucial to keep your cholesterol levels in check by paying attention to how much food you consume. What does this mean, exactly? Mainly, don’t overeat; instead, be mindful of your portions, and try to choose foods that aren’t too high in their caloric value. Thanksgivingis the epitome of comfort food (southern classic chess pie, macaroni and cheese, turkey and stuffing, yams, etc.) which can cause your LDL to rise and lead to “bad cholesterol plaques” forming in your bloodstream. On that note, look to consume your Thanksgiving food in moderate portions. 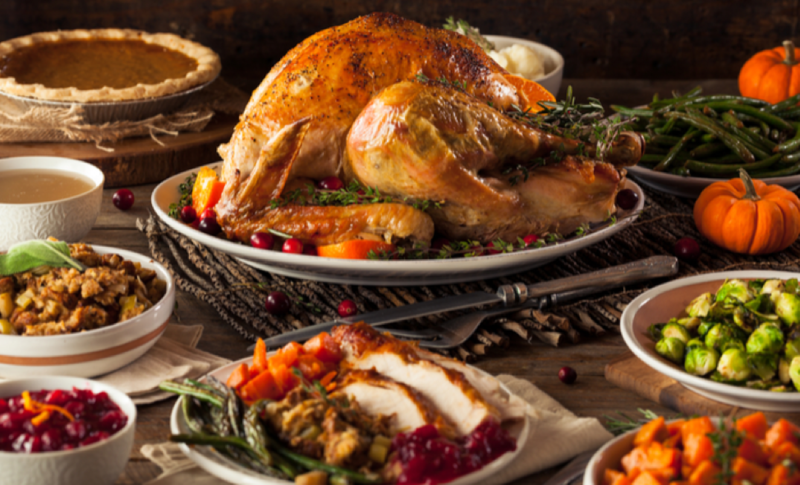 What does it mean to eat healthy during Thanksgiving? Well, for starters, try to focus your appetites on the vegetable tray, fish, grill baked carrots, “naked” pecans, skinless turkey, pumpkin pie, etc. These healthy foods will help lower your LDL and boost your HDL cholesterol level during Thanksgiving. Why are supplements good for me, you ask? Well, because they work. Believe it or not, including supplements such as Cholesteradein your diet can do wonders for your cholesterol levels. Apart from Cholesterade, it’s recommended you take rice yeast and omega-3 supplements before Thanksgiving. 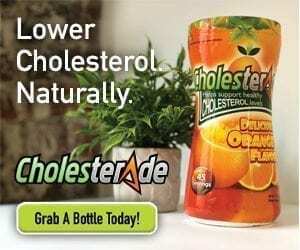 The last two types of supplements should help with keeping your LDL and HDL cholesterol levels regulated during Thanksgiving, while Cholesterade helps with your cholesterol in the long run. What is more, regular supplement intake can lower your risk of heart attacks and strokes. Supplements are essential! We know, we know – suggesting a jog or run after Thanksgiving dinner is like implying the digging of your grave – but we have to focus on staying healthy. If you are not much of a runner, try to squeeze in a long walk after your Thanksgiving dinner to maintain healthy cholesterol levels, and keep your heart in shape. Exercising helps remove LDL cholesterol plaques from your bloodstream and promotes your HDL cholesterol production. So, no matter how much you hate it, get your sneakers out and get ready for that after-dinner exercise. Enjoy your Thanksgiving deliciousness keeping in mind the advice above. The more aware you are of things, the easier you’ll start implementing them early on – and when you are not sure what to do next, take your Cholesterade, put those sneakers on, and go out. For more information on Cholesterade, find us here.